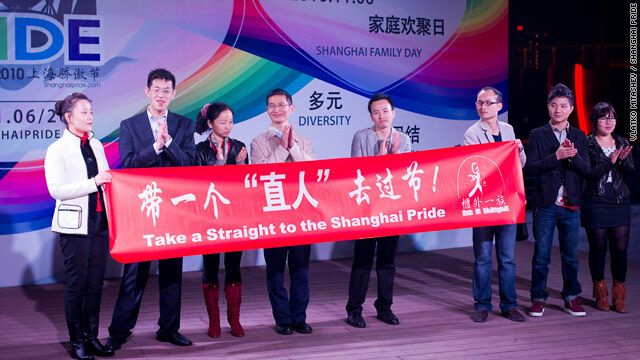 Following Wu Youjian's example, several parents took the stage with their gay children at the November 6 'Family Day' event at Shanghai Pride. Beijing, China (CNN) -- Following Wu Youjian's example, several parents took center stage with their gay children at the November 6 "Family Day" event at the second annual Shanghai Pride festival, singing a popular Chinese song titled "Tomorrow Will Be Better." "Coming out starts with the family - and it was great to see family members there," said Kenneth Tan, the festival organizer. "We hope to make this a regular feature and see more people show up next year." Wu's words have resonated beyond China. 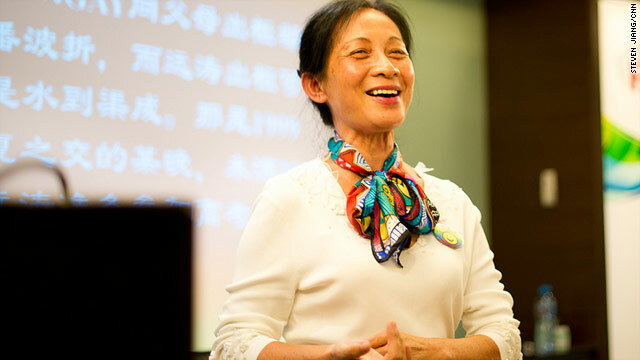 Guest speakers at a recent PFLAG meeting in Beijing included families from Canada and the United States, and non-Chinese faces dotted the room. In the audience was Stephen Leonelli. The 23-year-old American grew up in a Catholic family in the Midwest and went through a painful period of time when his parents rejected his sexuality. Leonelli, currently on a research fellowship in Beijing, volunteers as an English teacher at a local gay youth center. Recalling his school days in suburban America, where relevant information was scant and the environment often hostile for gay youth, he wished he had attended events like this in his hometown. "No one else was out and I didn't know how to deal with it," he said. "Even I would have benefited from such a talk." When it was others' turn to share their personal journeys at the gathering, parents in the room received the loudest applause. A few mothers wept, but one almost brought the house down. Thanking Wu for her inspiration, she sounded not only at peace with her son's sexuality but more like an eager matchmaker. "I just want him to find his true love - maybe someone here?" she wondered aloud. "He's an excellent kid and I want him to find a boyfriend - someone who's like a girl." Amid all the ensuing laughter, another mother next to her - still struggling to accept her gay son and in tears only moments ago - cracked a smile. The mostly young Chinese members of the audience wanted to pick Wu's brain for the best strategies to come out to their family. Wu encouraged them to start preparing early but offered no easy "timetable." "After graduating from college may be a good time," she suggested. "You are old enough to have financial independence, but still young enough for your parents to take time to get used to the fact."